It's back! 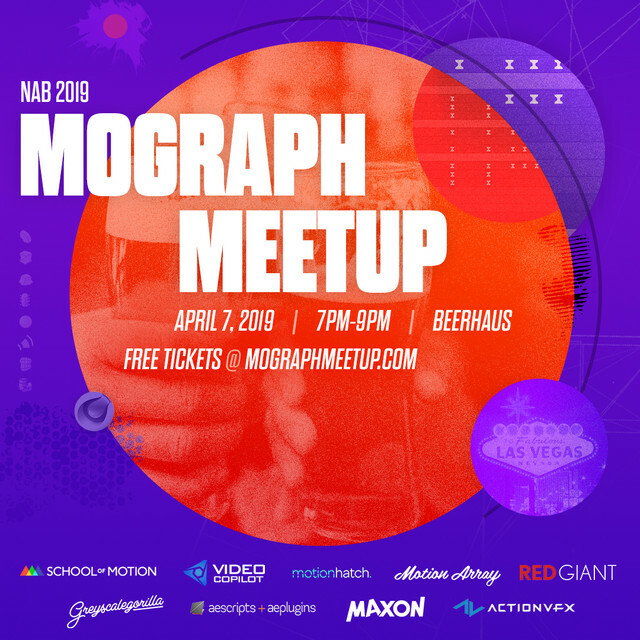 Welcome to round 2 of the infamous NAB MoGraph Meetup. Come hang out and talk MoGraph with the crews from School of Motion, Motion Hatch, Greyscalegorilla, Video Copilot, Motion Array, Action VFX, aescripts + aeplugins, Red Giant and Maxon! This event is free to attend, but you must RSVP. Please don't register unless you really plan on attending. The venue can hold 350 people, and after that there will be a 1-in-1-out policy. Drinks are on us, and there will be a food counter open to feed that belly.